By now you have probably guessed what our Halloween costumes will be this year. MARVEL’s The Avengers: Age of Ultron has been on repeat since the release on 3D Blu-ray and DVD October 2nd! Naturally my boys want everything Avengers Superhero. 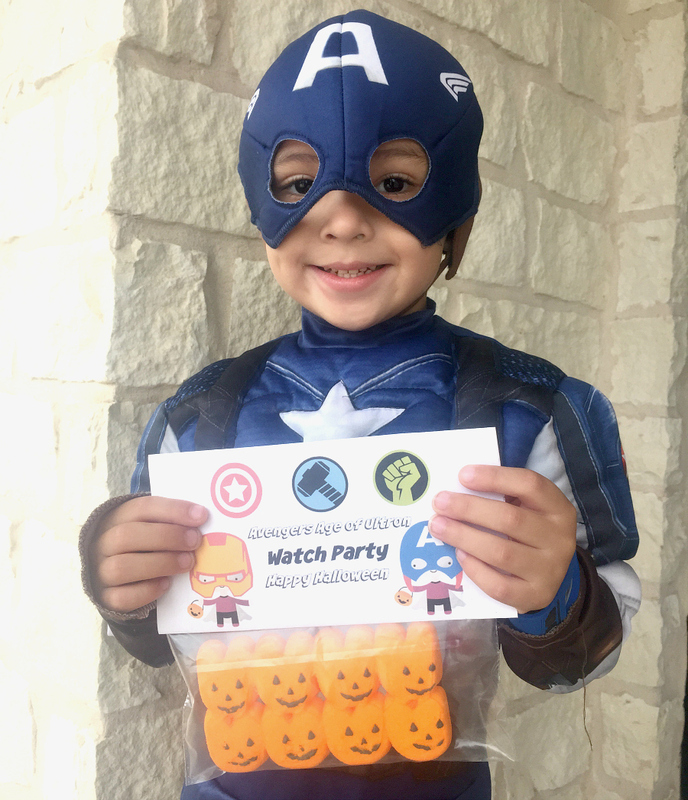 We decided that this years Halloween party theme would revolve around a watch party of MARVEL’s The Avengers: Age of Ultron. 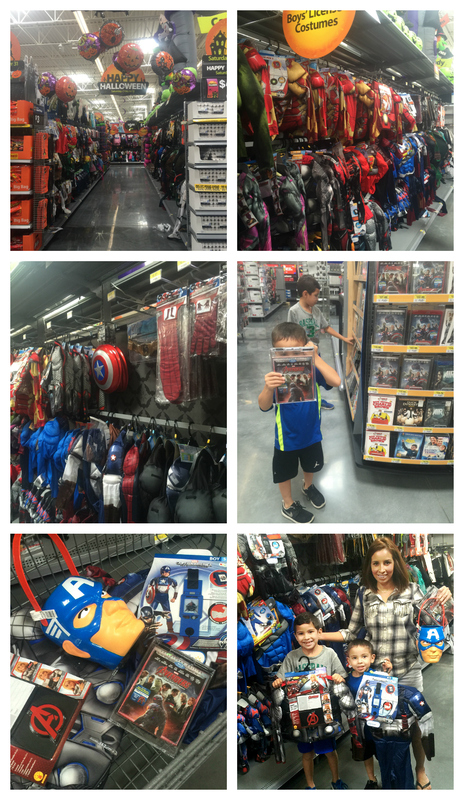 We headed to our local Walmart Halloween aisle which had rows of MARVEL’s The Avengers: Age of Ultron themed costume choices. After deciding on Avengers costumes Thor and Captain America, we made our way to the Electronics movies section where they were stocked with the new Avengers: Age Of Ultron 3D Blu-ray , Blu-ray and DVD. 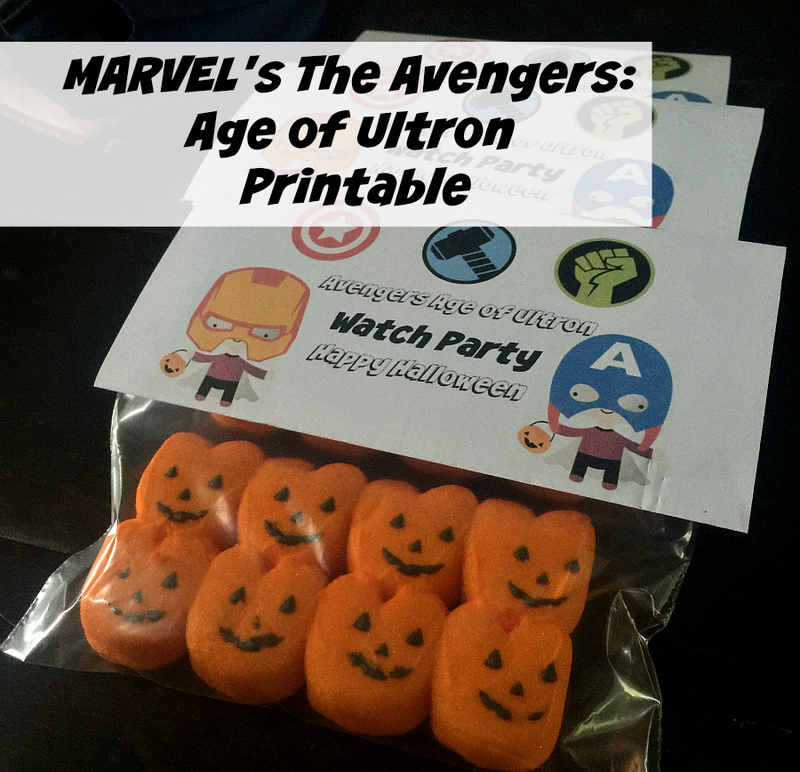 A watch party necessity is MARVEL’s The Avengers Age of Ultron on Blue-ray. 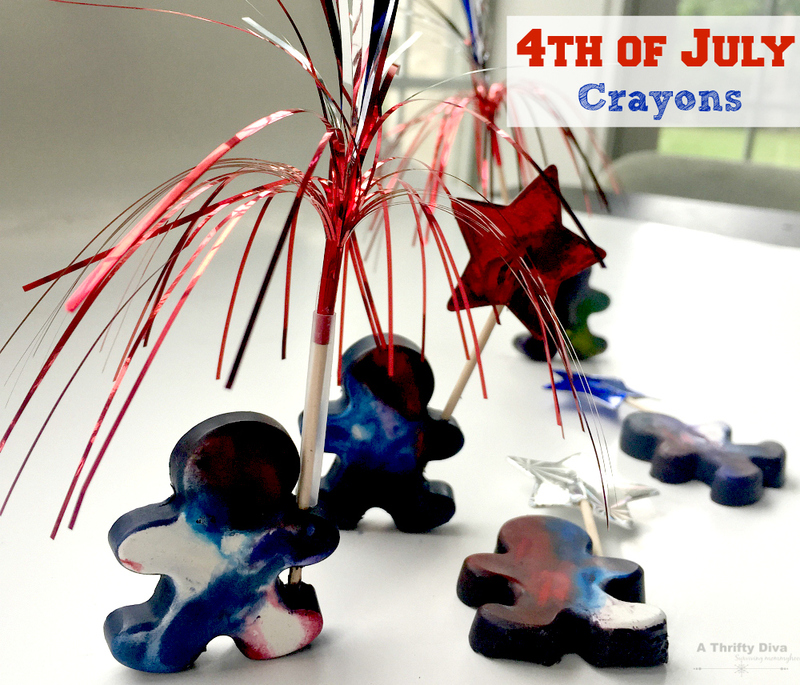 I promised the boys we would come up with a fun invitation. I made these super cute snack bag toppers that can easily be filled with any of your favorite treats. 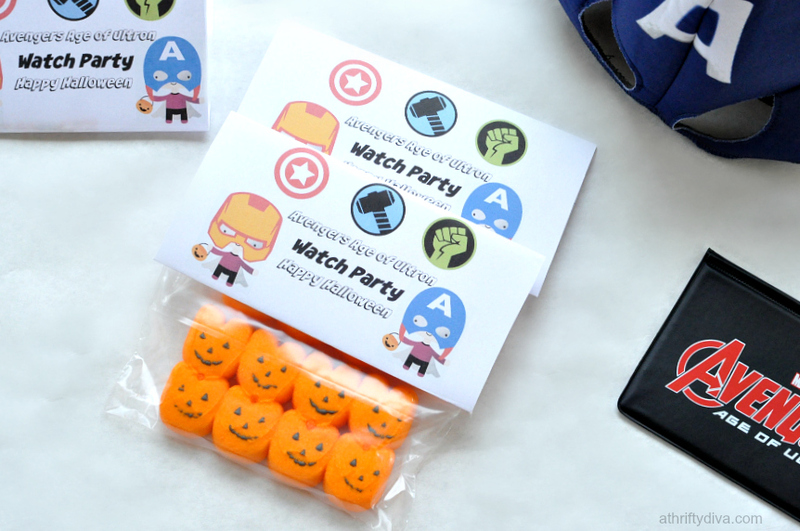 How to make MARVEL’s The Avengers Watch Party Printable Invites. 1. Print this printable PDF for Avengers topper. 2. Fold the printable in half and trim edges to fit nicely over bag. Seriously the easiest and cutest invite ever. For the watch party have MARVEL’s The Avengers Age of Ultron playing on repeat as the party goes on. A snack table of simple movie goodies like popcorn, candy bars and juice boxes can be served. 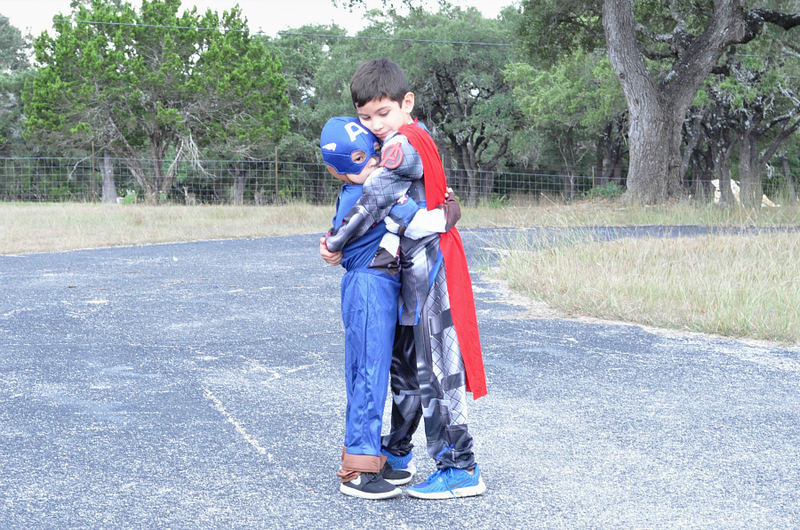 Encourage your guests to dress up as their favorite Avengers characters. 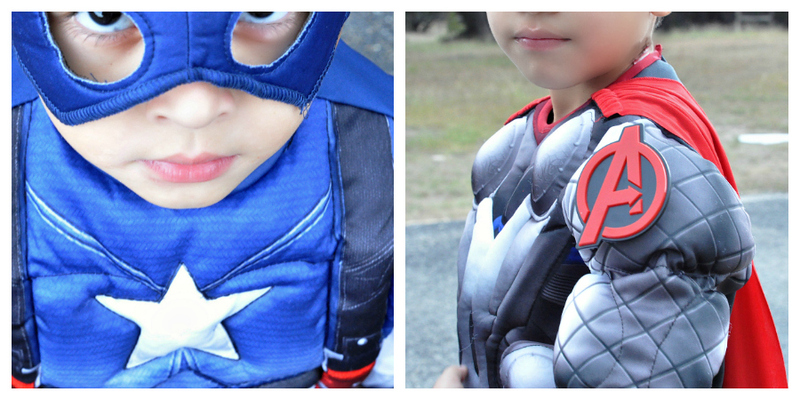 And don’t forget to pick up your own #AvengersUnite costumes and MARVEL’s The Avengers Age of Ultron DVD at Walmart. Are you having a Halloween party this year? I’d love to hear about your ideas.